And Just to Ease the Cares of the Day: Birther/GOP mockery dept. Seed art (sic!?–ed.) sums up the current intellectual credibility of the disloyal opposition. 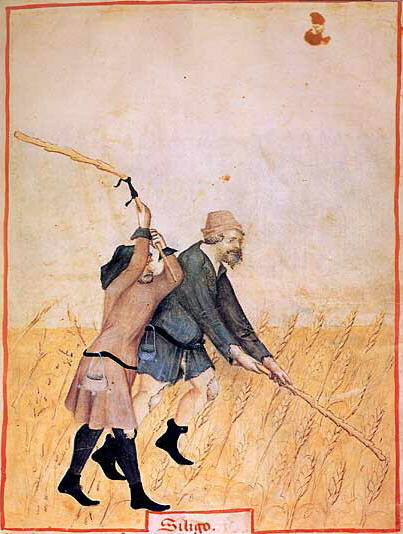 Image: from Tacuinum Sanitatis, “Peasants Threshing Wheat” 15th century. This entry was posted on August 29, 2009 at 11:49 am and is filed under random humor, Republican follies, ridicule. You can subscribe via RSS 2.0 feed to this post's comments. I likes the cut of your blog.